Anyways, today on the blog I’ll be sharing chic outerwears that I would like to add in my closet since fall season is around the corner. I’ve mentioned this in my previous post that I have low tolerance with cold air and so I always make sure to bring cardigans or long sleeve outerwear in my bag whenever I go out. It’s very useful when I am in high air-conditioned places or when I go home late in the evening where air is colder. 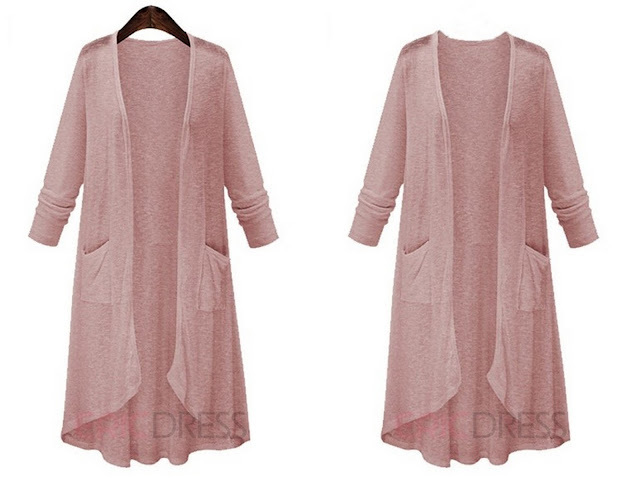 This outerwears I am sharing to you are all from Ericdress.com. I notice they have chic collections that are rarely found from other online shop at a cheap price. And the reviews on their products are mostly good quality. You will notice that most of this are not really thick and most cloth materials are either polyester or cotton, just so it will be handy to carry anytime. 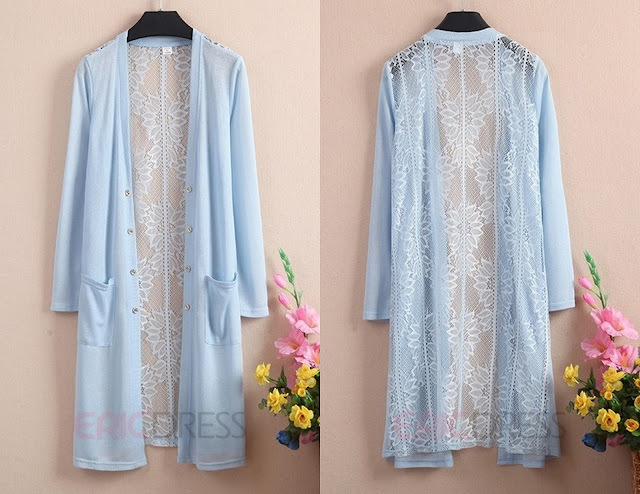 Lace Sun Protective Outerwear $18.04 – The cloth material is polyester. And I love the lace details at the back. Solid Color Thin Sun Protective Clothing $14.24 – The cloth material is cotton. I have always wanted one of this perfect for bohemian outfits. 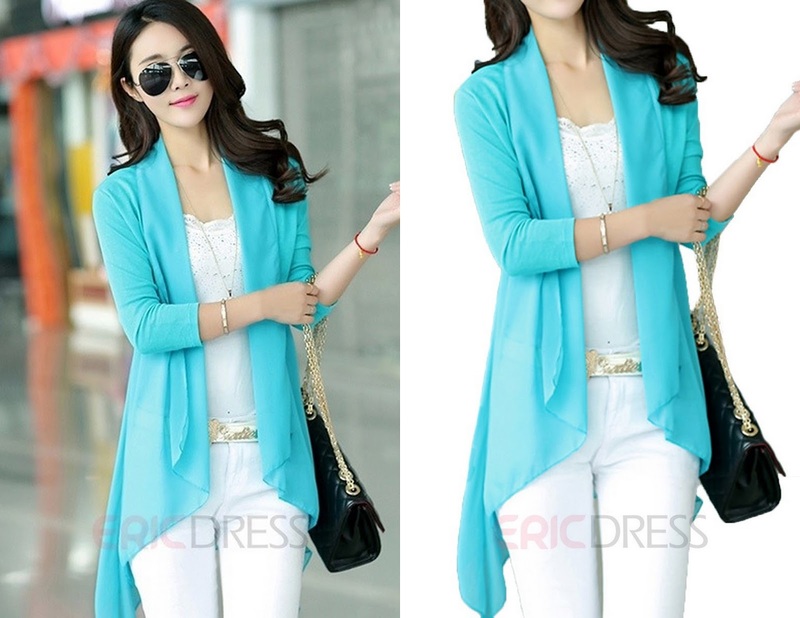 Elegant Sun Protective Cardigan $21.84 - The cloth material is cotton blend. I like it’s waterfall style and the colors as well. Such a gorgeous piece!! I love it! Yeah that one is kinda smexy... And yes it was because the attractive color that I notice first in it. This looks nice, I've never been on their website but these outwears looks cool! Oh, you should check it out Ericdress.com has so many fab finds. They're so cute and I love the color on them! 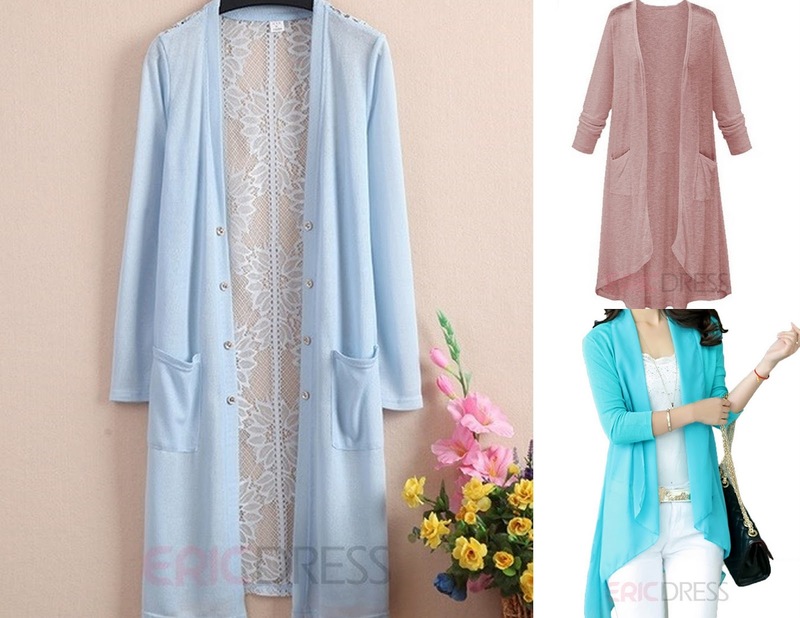 Beautiful outwears, I love them. They are. glad you like them Tessy!